A small earthquake has been detected in Argyll and Bute. The British Geological Survey recorded the 2.4-magnitude tremor at 14:35 on Tuesday, with an epicentre in Lephinmore. 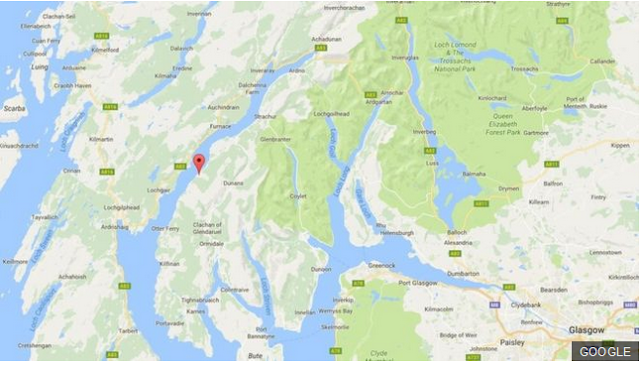 The organisation said the depth of the earthquake was 11km, and affected areas including Tayvallich, Lochgilphead, Colintraive and Kilmory. Between 200 and 300 earthquakes are recorded in the UK each year, most of which are under two in magnitude. The four earthquakes, which rocked central Italy on Wednesday, were above magnitude five on the Richter Scale.